Good morning, readers! It’s the third day of Negative Space Week with The Digit-al Dozen and I feel like I am running out of ideas already for the week. Negative space isn’t a favorite of mine so I feel like I’m hitting a creative road block. 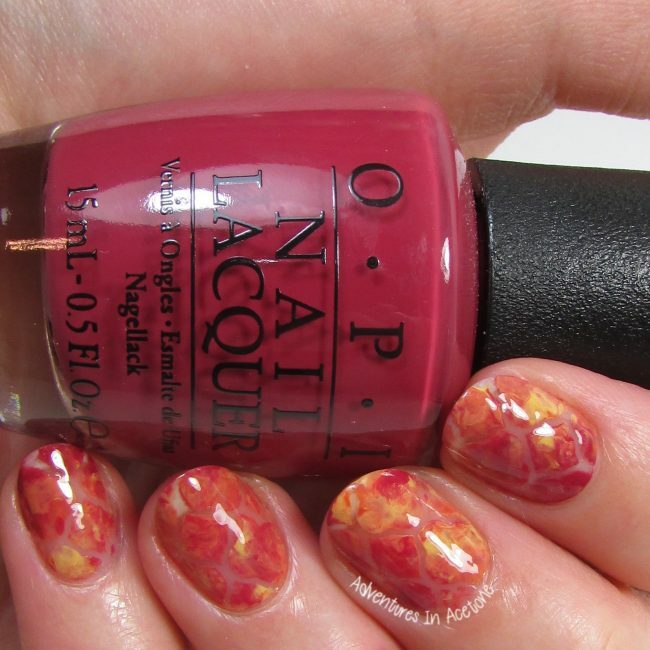 For this look, I used quatrefoil nail vinyls over bare nails, and squish-stamped some of the new OPI Washington D.C. Collection shades for a marbled effect over the stencils before removing them. I began with bare nails. I pressed the quatrefoil nail vinyl stencils onto the bare nails. Then, I dabbed a few blobs onto a stamper with each of the following OPI Washington D.C. polishes: OPI By Popular Vote, Yank My Doodle, Freedom of Peach, and Never a Dulles Moment. 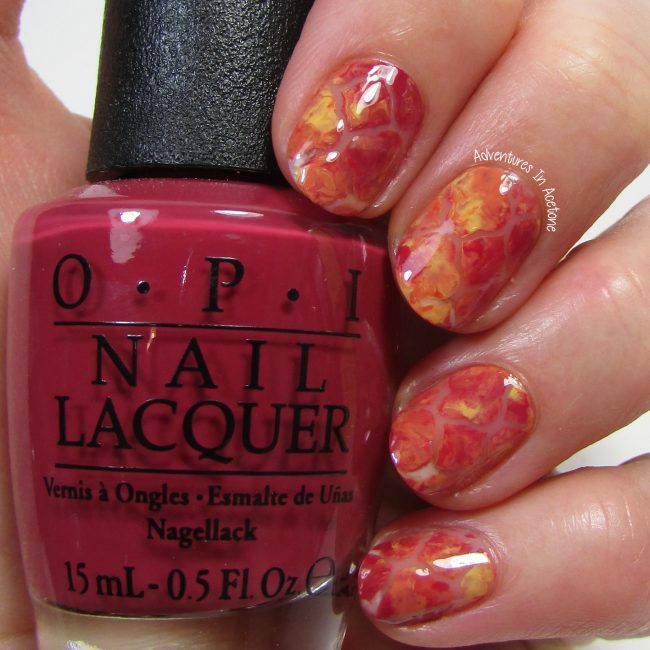 I pressed the stamper onto the nails a few times and repeated until I liked the marbled effect on the nails. While the polish was still wet, I peeled up the vinyls, leaving bare nail quatrefoil outlines. Two coats of KBShimmer Clearly on Top were used to seal in the design. These are really neat! 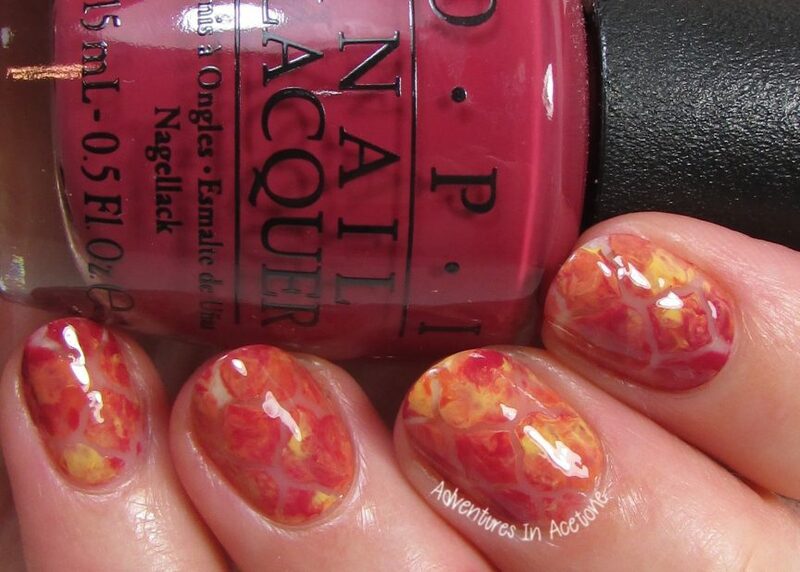 I love smoosh nail art like this! Gorgeous mani and I love the negative space quarterfoil design. The colours you chose make it look very autumny!